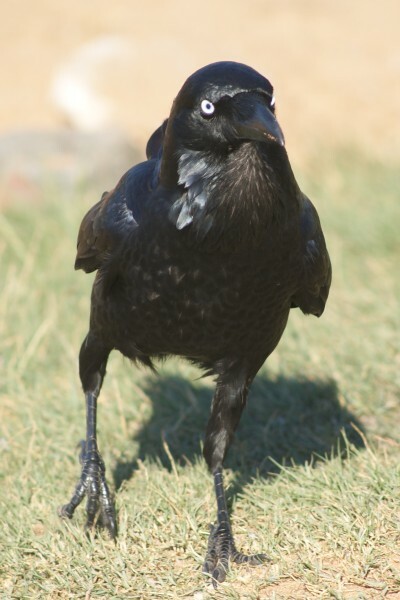 The Australian Raven is one of five native corvids in Australia and is common in the Sydney area (in fact the only one you're likely to see). 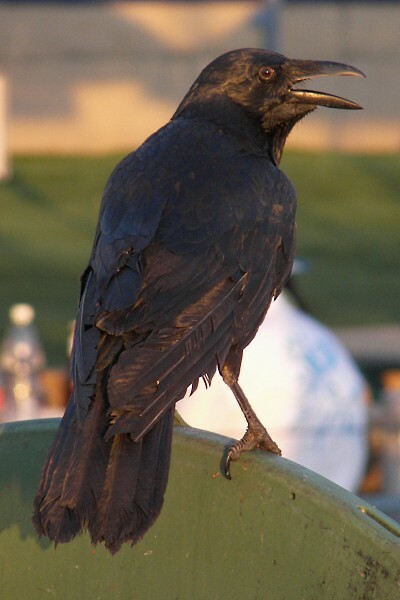 They have a call likened to that of a wailing baby and, like all Australian corvids, have a white eye. 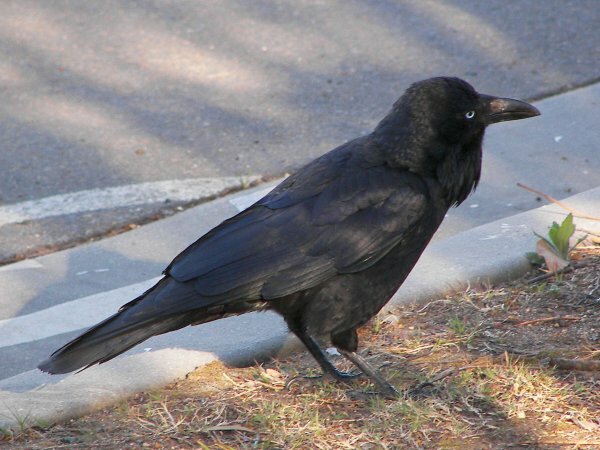 The five species of crows and ravens can be quite difficult to differentiate and often have to be identified on call and the prescence of the hackles (shaggy feathers) on the throat, prompting some to jokingly call all species "White-eyed Crow". The second photo is of a juvenile bird. 1: Long Reef, NSW, 22/04/2010. 2: Sydney Fish Markets, 13/09/2009. 3: Olympic Park, Sydney, 05/09/2009.